"X-Men: Days of Future Past" (2014). "X-Men: Days of Future Past" comes out on May 23, 2014. 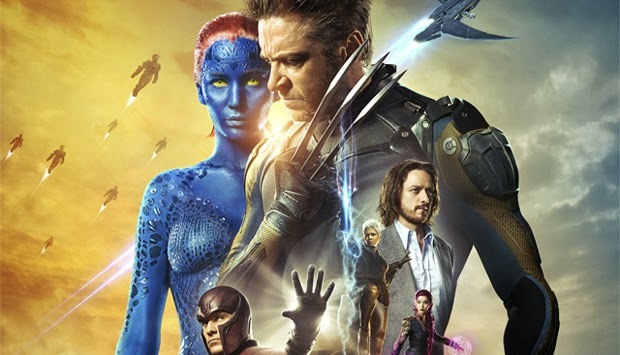 This 20th Century Fox Picture "X-Men: Days of Future Past" has characters from the original X-Men films working with their younger selves in a time-travelling scenario. There is an epic battle to change the past to save the future. Much of the film appears to be set in Washington, D.C. during the Richard Nixon administration. The film stars Hugh Jackman (Wolverine), James McAvoy & Patrick Stewart (Professor X), Michael Fassbender & Ian McKellen (Magneto), Jennifer Lawrence (Mystique), Halle Berry (Storm), Anna Paquin (Rogue), Ellen Page (Kitty Pryde), Shawn Ashmore (Iceman), Nicholas Hoult (Beast) and Peter Dinklage as Bolivar Trask, who plays a genius military scientist behind the mutant-hunting Sentinels. There will be all sorts of '70s touches in "X-Men: Days of Future Past." This will be a must-see film that is almost certain to be one of the highest grossing releases of the year. 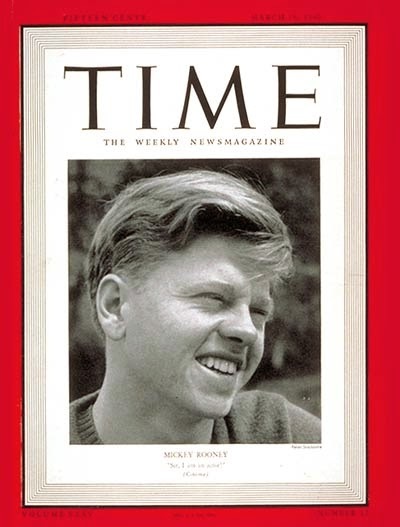 Mickey Rooney on the cover of "Time." This site is not, I vow, going to be become simply a place for posting obituary notices of the stars of yesteryear. 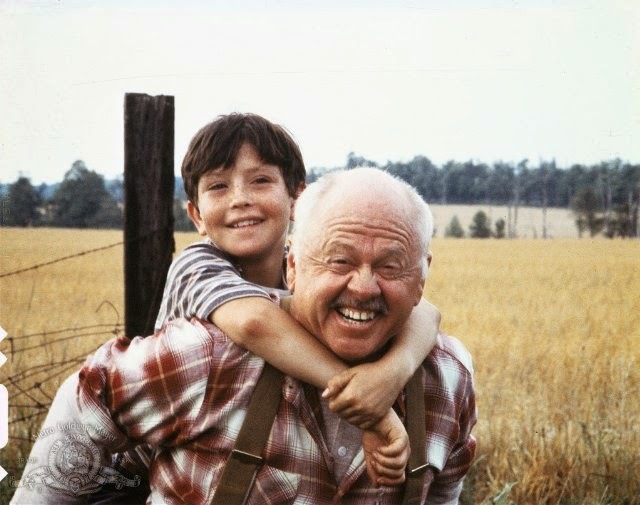 However, it is impossible not to note the passing of a screen titan like Mickey Rooney. This is a guy who was a major star when World War II broke out, and he enlisted and served. 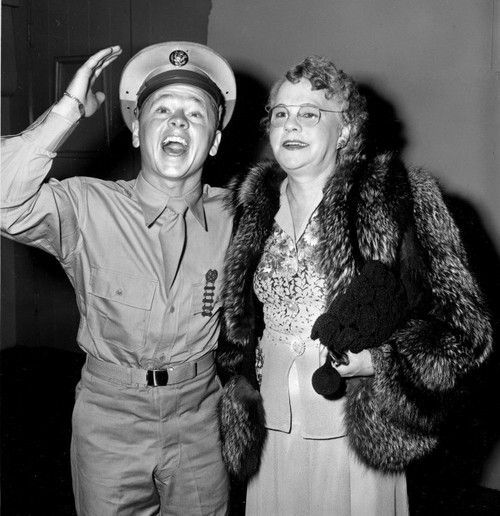 Mickey Rooney during World War II. This man paid the maximum Social Security tax every year since the program was instituted in 1935. Mickey claims that he met a wannabe actress at a party and was captivated by her look, but not her name. Rooney recalls taking the starlet home that night and helping her define her famous name and image. He said, "I said, 'Something tells me you have a wonderful chance - but you gotta change your name: There was a wonderful star named MARILYN MILLER, and nobody's used it (name). You should be Marilyn.' "Then the phone rang and it was a guy I used to write scripts with whose name was TOM MONROE... She said, 'Who were you talking to?' 'I was talking to your last name... You're Marilyn Monroe.'" Why do I love this story so much, when it's accuracy is, shall we say, questionable? Because he claims to have taken young Marilyn Monroe home for the night! 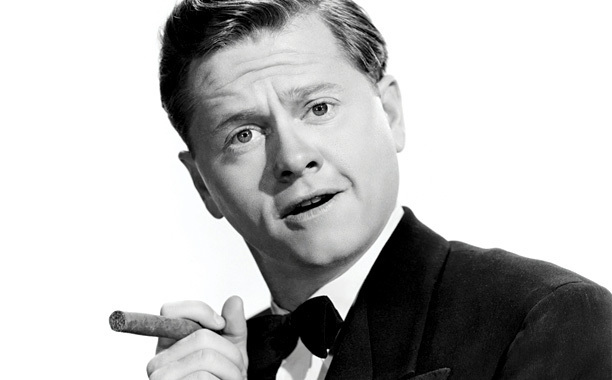 So long, Mickey Rooney, thanks for everything. Mickey Rooney in his award-winning role of "The Black Stallion"
"Mickey Rooney did NOT name Marilyn Monroe. She was named in 1946 by Ben Lyon, a talent scout and casting director for 20th Century Fox, when Norma Jeane (NOT Norma Rae) signed her first studio contract. Norma Jeane suggested the surname Monroe because it was her mother's maiden name and was a name to which she felt attached. Lyon suggested Marilyn because he admired the late stage actress Marilyn Miller. In fact, he had briefly been engaged to her at one time. The name was alliterative, even musical, and Norma Jeane Dougherty agreed to become Marilyn Monroe. Mickey Rooney is a raconteur and self-promoter, even pretending to be Walt Disney's inspiration for Mickey Mouse's name!" RIP Mickey Rooney, still engendering debate after his passing.